Sports betting has been a topic of wide discussion across the states which comes as no surprise to anyone in the field since the US Supreme Court gave green light to its expansion. 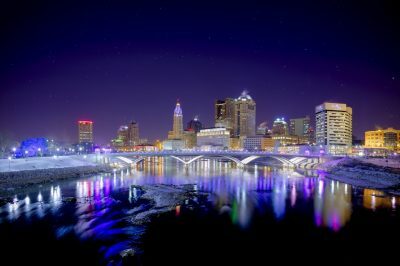 The state of Ohio has been eyeing the possibility of sports wagering legalization for the past several weeks and there are still prospects of this sector developing its operation in the upcoming months. This May brought one of the most eventful months for the US gambling field in many years, since the SCOTUS ruled in favor of change and overturned one of the older regulations. Back in 1992 the Professional and Amateur Sports Protection Act was established in the field and ever since then placing bets on sports events has been considered an illegal gambling practice. Nevada had some freedom in this sense and up until this May, it had the opportunity to provide players with a chance to enjoy sports betting in a legal way. However, since the rules have changed, every state has the freedom to come up with its own set of rules regulating the sector and decide whether or not it would be beneficial for the region to introduce sports betting in general. Several states to the liking of New Jersey and Delaware have already provided their residents with the chance to give sports wagering a try and they already reap the benefits coming with legal sports betting. The introduction of sports betting to the field of Ohio could result in a considerable amount of revenue generated. It is known that neighboring states such as West Virginia, Pennsylvania, and Michigan are already close to launching sports betting in its all-encompassing form. There is also the state of Kentucky which is working on its sports gambling framework which could be voted in 2019. 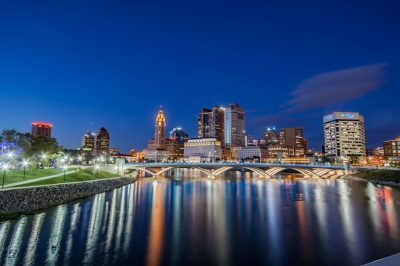 The fact that states located in the proximity of Ohio are actively putting effort into the field might result in pressure on the gaming field of Ohio. The fact that the state does not have an operating sports betting field does not mean that there has not been work towards it. The latest information regarding potential sports wagering move forward stated that the state lawmakers are still considering the entire subject and for the time being the Ohio Lottery Commission and the Ohio Casino Control Commission are waiting for their official statement on the subject. There is still the outstanding issue which involves the appropriate regulation. An adequate framework is required in order for the state to launch sports wagering in a legal manner. Although there have been suggestions claiming that the state Constitution could be able to give it green light if the competition for gambling revenue with the neighboring states, for the time being, this is an unlikely scenario. At the moment there is a 33-percent tax set on other casino games, according to Ohio’s Constitution which could turn out crippling the potential field. For reference, West Virginia has decided to introduce a 10-percent tax to its sports wagering field. Back in May, there was a proposal that Ohio Lottery Commission oversees the future field, as it is in several other states. For the time being, the entity manages racetrack slot machines and Keno across Ohio. According to the estimations, the potential legalization would have resulted in some $1 billion in the form of tax revenue over the span of a single year. It should be taken into account that at the moment illegal sports betting might be able to generate some $3 billion which are not invested back into the community. There are still many variables to this equation, but what is certain is that the final decision regarding sports betting in Ohio would be made next year.